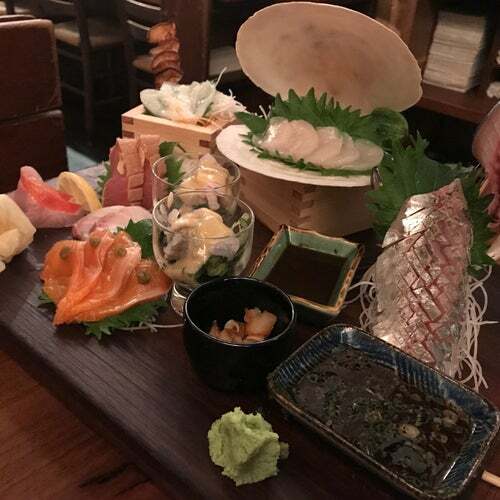 The menu is innovative, and displays a choice of sushi from both the Pacific and Atlantic oceans (not to mention those flown direct from the Sea of Japan on a daily basis) all extraordinarily fresh, creative and abundant. Toshi's specials and an award winning sake list make every meal a truly extraordinary Japanese culinary experience. Whether at the Sushi Bar or at one of the cozy tables in the back room, dishes like shrimp shumai, dragon roll and spicy fish soup, will transport you to the other side of the World.